do they have a separate tongue? where are the taste buds located? The tounge is in the beak that is within the psudo-mandible. And their nostirls work like a whales in which that can close up for underwater swimming. Here is a Naucean sub from the Modern Age. Unlike their military subs this was made for scientific exploration. Naucean even though amphibious have their limits. They can only hold their breathe so long and go deep before the pressure is to great upon their bones. This is why the deep submarine was made. To go to where no Naucean has gone before. After its first missions they have discovered many many new creature never seen before. Most notable are the multipeds above 4 legs, which are not know in the higher depths and on land. From these creatures new discoveries in medicine and new insights into the evolution of the Nauceans. I agree. Very nice drawing! Here are some Naucean drugs. Very cool love the designs going on here. Although, I clearly recognise that you are using Photoshop here coloring..hmm scanned sketches. And the technique for colouring...you set the sketch layer above the colour layer and set it to multiply? And for the shading, blacks and whites in the colour layer or on a seperate layer set on either multiply or screen? Checking, because I think you could improve much on your colouring. I'm quite the colouring freak right here. See your avatar there? I know exactly how that was coloured, and I could duplicate that effect easily. Not all to good at the drawing part though. Hey, does that matter? RedFishs pictures are insanely well coloured, mine are so-so, Hydro's are very good, but it doesn't matter. The ideas and the concepts are important here. A boring concept with good colouring isn'ta as good as the oppsite. Anyway, good work on the drugs Hydro, nice connection to the Rave scene. 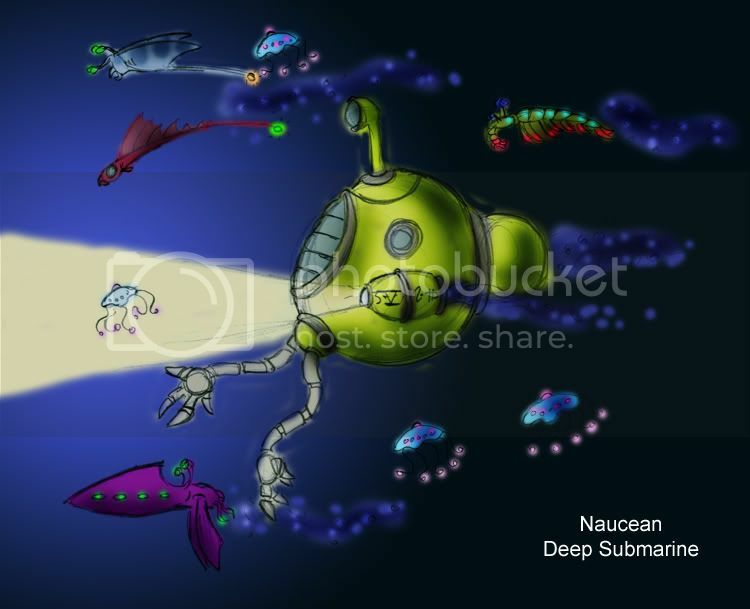 very cool drawings man I really like the deep sea minisub. The Turnabegga ale is basically a Naucean liquor for sure. Well I was more of wondering then really saying that it matters. Quill Powder looks familiar . I didn't even see that fantastic submarine, it's great. And the colouring is very good, it has his own style of doing it and I like it. 11. shade using burn tool. 12. Touch up by erasing or add ing stuff. 13. Sometimes use gradient fill for background. 17. 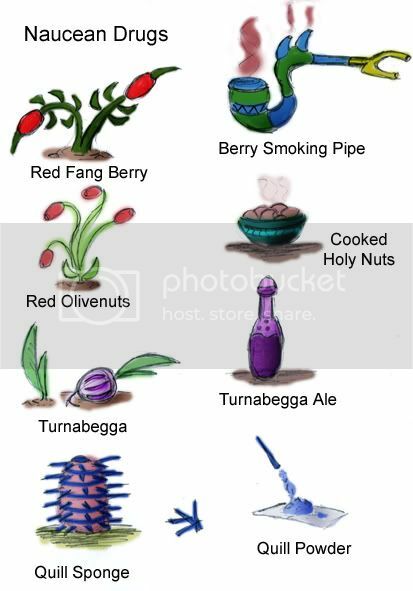 Post here and then Spore Planet and Spore Wiki. Anywho i am open to suggestions on coloring. What technique do you have in mind? I have an even simpler way.